Other than the odd seven-inch single and last year's sophomore effort The '59 Sound, New Brunswick, NJ pop/rock/soul-punkers Gaslight Anthem have been way too busy to really get down to brass tacks and record a new album. Can you blame them, though? With such expedient popularity, the band are barely four years old but they've already become media darlings, fan favourites and the stuff promoters dream of: sell-outs. And that's in the business-friendly way, not the, "Oh my God, did they sell out," version. So expect great big line-ups for the forthcoming gigs they've just announced on their latest North American stint this fall. There must be something in the air around New Brunswick that turns working-class folk into instant rock stars. These guys, Thursday and Bruce something-or-other all hail from that area. 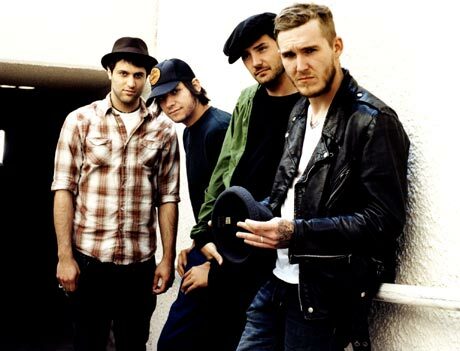 Seriously, though, Gaslight Anthem are making critics drool - more so than normal, at least. After they finish warming up crowds for Social Distortion in Germany and Bruce Springsteen in England, they'll whip out this fall tour with openers Murder By Death before committing to recording their tertiary effort.